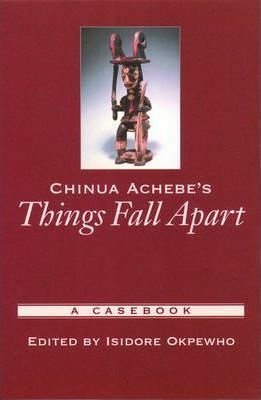 Chinua Achebe is Africa's most prominent writer, and Things Fall Apart (1958) is the most renowned and widely-read African novel in the global literary canon. Translated into close to sixty languages, Things Fall Apart is the novel that inaugurated the long and continuing tradition of postcolonial inquiry into the problematic relations between the West and the countries of the Third World that were once European colonies. This collection explores the artistic, multicultural, and global significance of Things Fall Apart from a variety of critical perspectives. The essays selected for this casebook represent the most important and well-established critical work written on the novel to date. This volume also contains an editor's introduction, an interview with Chinua Achebe, and suggestions for further reading. Isidore Okpewho is Professor of Africana Studies, English, and Comparative Literature at SUNY at Binghamton.